SINGING VOLCANO For several months after Ecuador’s Cotopaxi volcano erupted in August 2015, scientists recorded odd patterns of reverberating sound. Ecuador’s Cotopaxi volcano has a deep and distinct voice. Between late 2015 and early 2016, Cotopaxi repeated an unusual pattern of low-frequency sounds that researchers now say is linked to the unique geometry of the interior of its crater. Identifying the distinct “voiceprint” of various volcanoes could help scientists better anticipate changes within the craters, including those that foretell an eruption. Cotopaxi repeated this tornillo pattern 37 times between September 2015 and April 2016. Each time, the signal lasted through a dozen or more oscillations, resonating much like a musical instrument, before dying away. 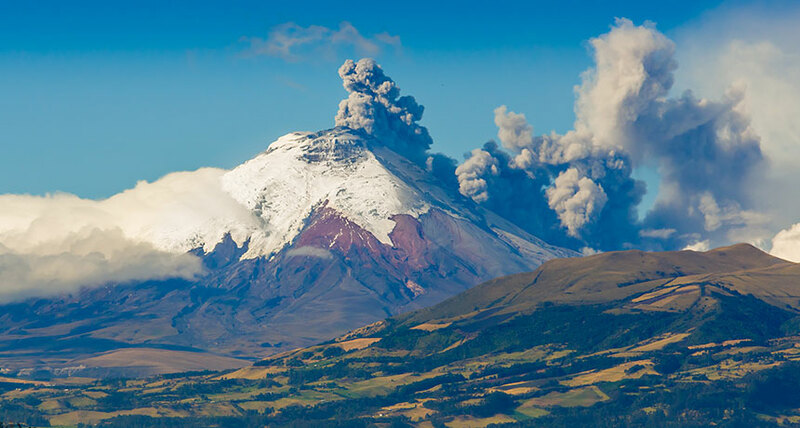 “[Cotopaxi] rang like a bell for more than a minute,” says geophysicist Jeffrey Johnson at Boise State University in Idaho, who led the study. Infrasound waves have frequencies between about 0.01 hertz and 20 Hz — too low for humans to hear but audible to some animals including elephants (SN: 9/8/12, p. 11). Scientists have been eavesdropping on volcanoes for about two decades, with technology developed for the 1996 Comprehensive Nuclear Test-Ban Treaty’s infrasound monitoring network (SN: 8/5/17, p. 18). Cotopaxi’s voice is unusually deep among recorded volcanos — a baritone among tenors. Resonating at around 0.2 Hz, its sounds were five times lower in frequency than those if many other volcanoes. Johnson and his colleagues attribute this strange voiceprint to air sloshing back and forth within the volcano’s deep, cylindrical crater. What triggered the sound oscillation after the initial 2015 eruption is difficult to determine. Based on video from a nearby webcam, Johnson believes it was probably the intermittent release of gases from the magma lake within the crater.